I am inherently lazy when it comes to hunting for bargains, it doesn’t seem to be in my DNA. If I go to the sales with the intention of finding a bargain, I quickly lose patience with sifting through tat and head on over to the ‘New Season’ stuff. However, I know people who are always buying second hand and finding amazing little gems that are cheap and gorgeous. To them finding these gems are a fun thing to do! Imagine?! 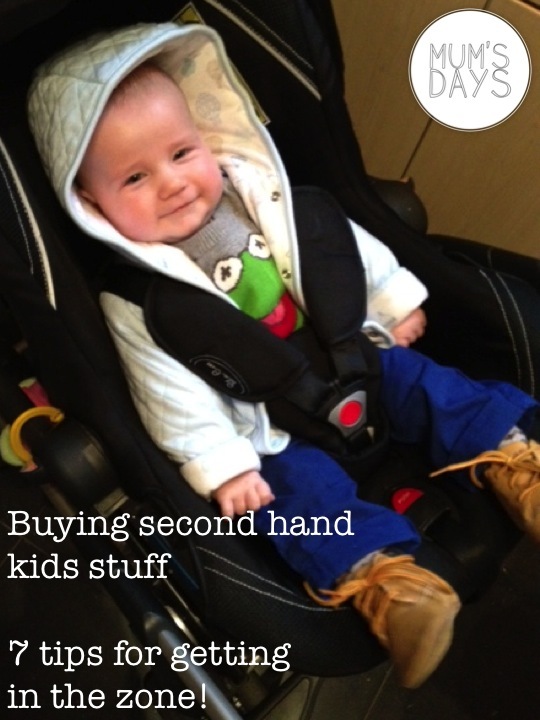 It just takes a bit of patience and presumably knowing where to go…so with this in mind, I thought buying second hand kids stuff would be the ideal first topic for #nemumshour* on twitter! Last night, I got my cuppa ready (stupidly leaving my tea on the stove. It got burnt) and got to chatting with a small but perfectly formed group of mums and dads (dads are welcome too but that would have made a really long hashtag!). I basically picked their brains for the best places for buying second hand and how they get in the zone! 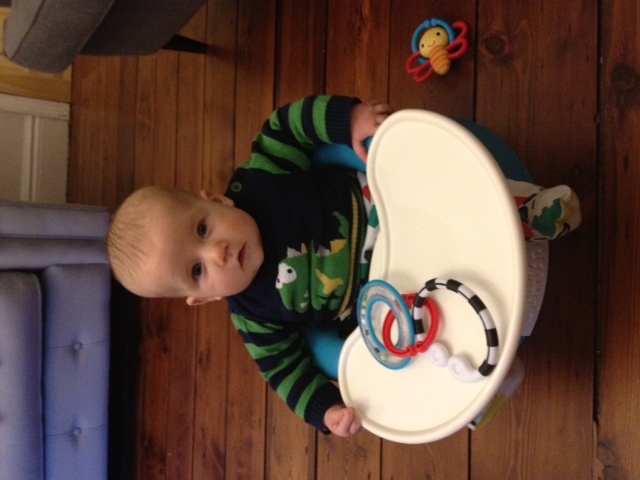 Last week I was toying with the idea of getting Reuben a bumbo. I really wanted one for him but then when I saw they were £35 I was like “he’s only going to use it for about 2 months!” In the end I decided I would get him one because a) everything else we have at the moment has been given to us, so I’ve not spent anything on him yet b) we’ll get a lot of use out of it for those 2 months and c) he’s my little lad and I want to spoil him! I could, of course, have hunted around for a secondhand one but I have to admit that like shopping in the sale, I find the experience of buying things on the cheap slightly stressful. 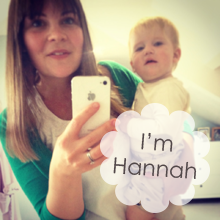 Nearly new sales are like scrums, when I bought a sling via a lovely mum on twitter I accidentally paid her to the wrong address on PayPal and she was unable to access the money (it’s yet to be resolved but I feel guilty so I’ve offered to pay again – making the sling more expensive than if I’d just bought it new! ), and I find that eBay isn’t actually much cheaper than buying stuff new, probably due to the charges, unless you buy it through an auction but the nature of auctions makes me panicky! Cue kidslikenew.com. 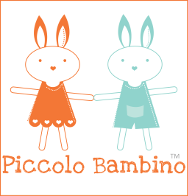 I was contacted this week by a fellow Geordie about this company he’s started, think eBay for kids’ things, except it’s (thankfully) not an auction and they give 10% of their profits to children charities. Mick basically set up kids like new with 2 fellow dads after they realised their little bundles of joy required a big bundle of cash. Not to mention a whole lot of storage space when nearly new toys were packed away, no longer needed. Yes it’s nice to give things away (and thank you to everyone who has given me things for Reuben!!) but if you could make a buck or two, why the hell not? – Mick told me the average spend on a baby in the first year of its life is £3000!! You may as well try and get some of that back. Pretty much all of that £3000 will be in storage waiting for a sibling to arrive and play with it, by which time you’ll probably want new things for them! 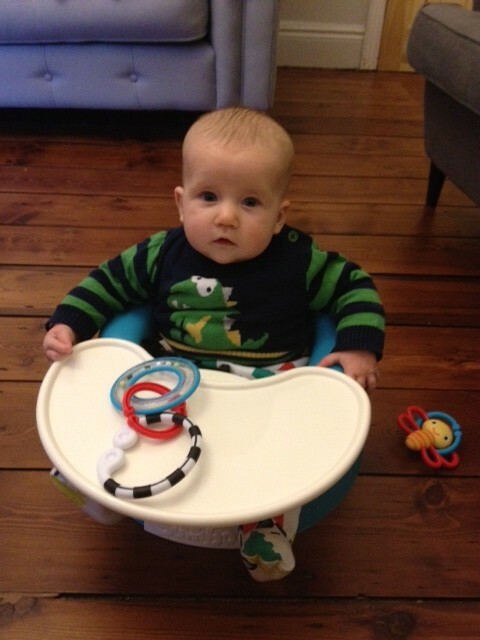 I’ve had a look around and I like it – Kids Like New seems a lot less daunting than eBay so I think a) I’m going to have a hunt through to see what I can get for Reubs and b) I might try my hand at selling his bumbo when he grows out of it!